Adoption Days are amazing! If you’ve never experienced an adoption day, you might wonder what it’s like to celebrate a child coming into your family through adoption. There’s no question that it’s totally different from adding a child by birth, but it’s just as exciting. 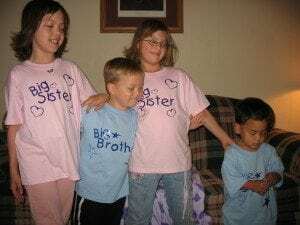 When we were planning our children’s adoption days, we wanted to be sure to include their older siblings in the celebration. 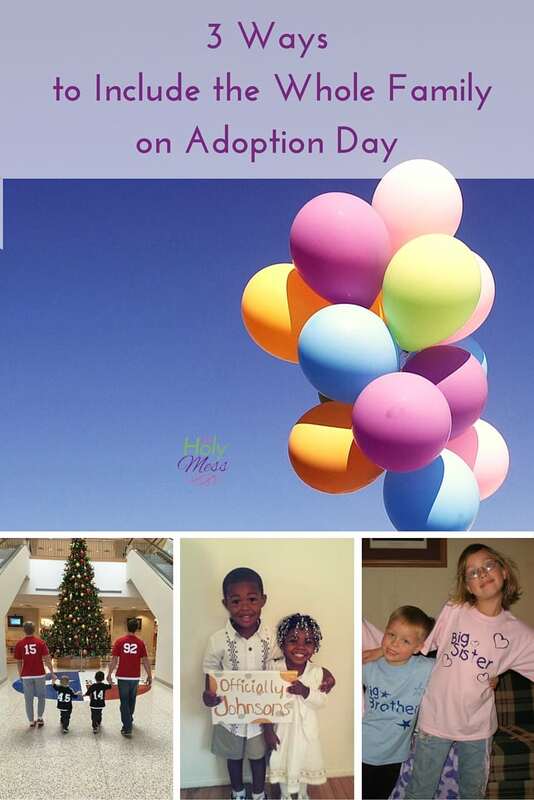 Listed below are 3 ideas to include the whole family on adoption day. Our family has 5 children. 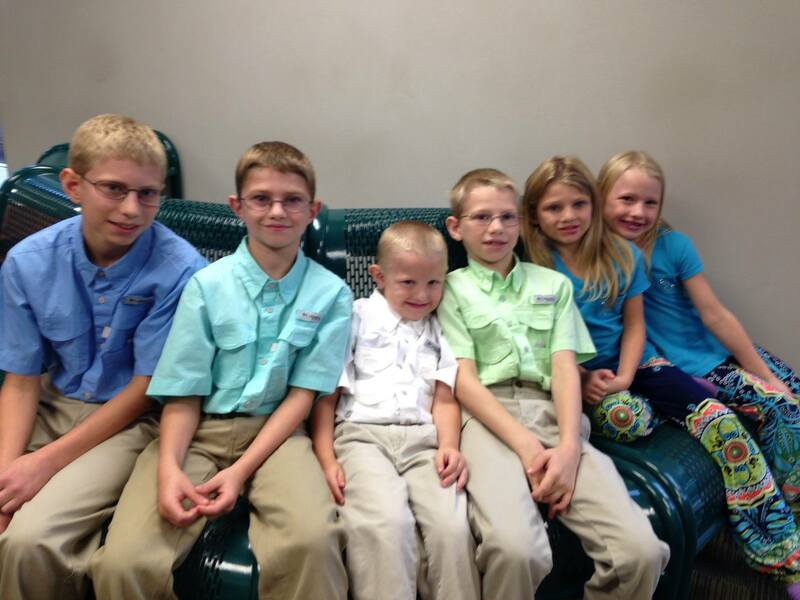 Our older 3 children came into our family by birth, and our younger two children were adopted. 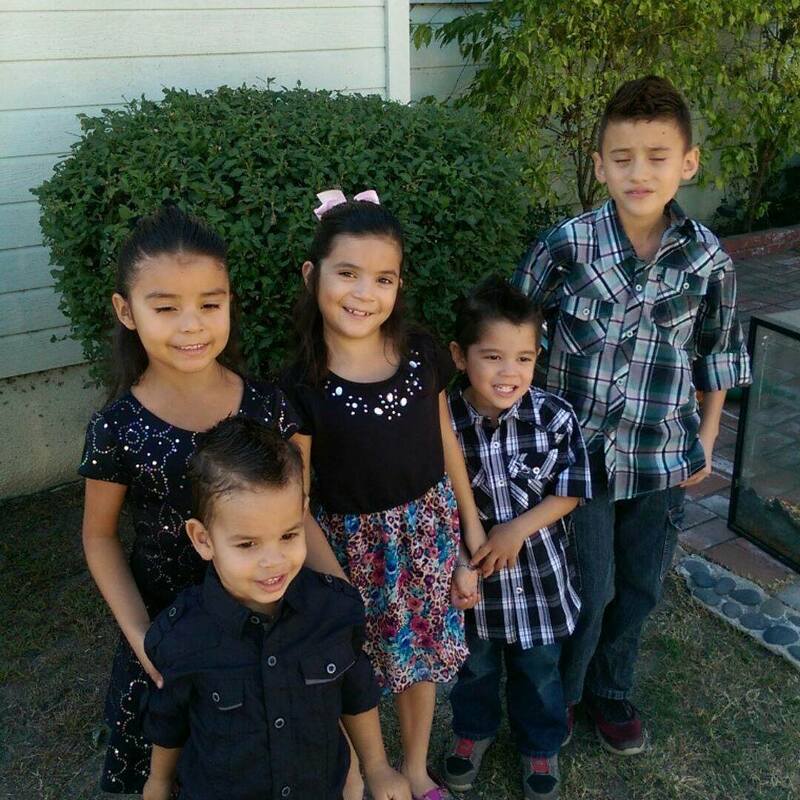 I will remember each of their days — their birth days and their adoption days, as an absolute miracle. Sometimes we hear adopted children told that they were “chosen” children, but the truth is that God chose each of my children for our family. 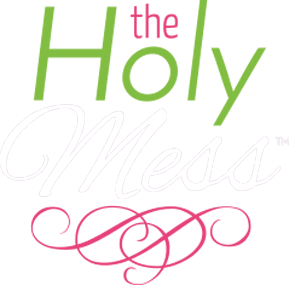 He designed and put together our family exactly as He ordained it to be. 1. 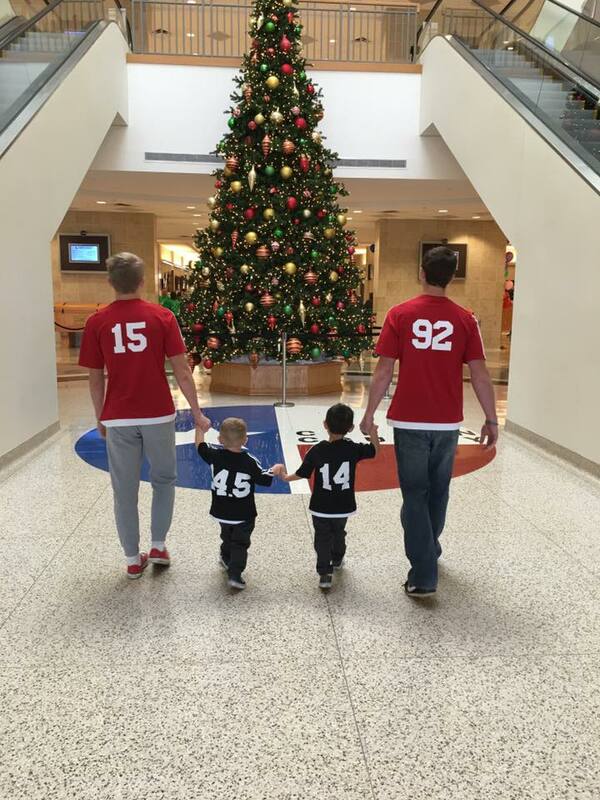 Adoption Day is Forever Family Day. 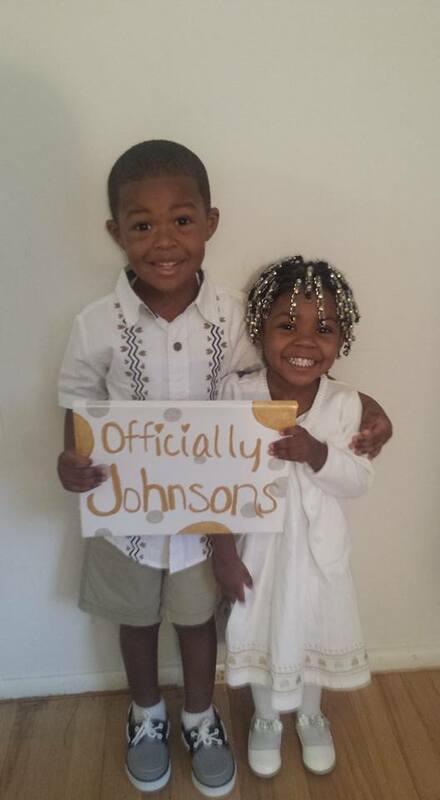 Our childrens’ adoption days were long-awaited days, and we were so excited to celebrate! We included our older children in the celebrations and stressed that this was our Forever Family Day as a family. 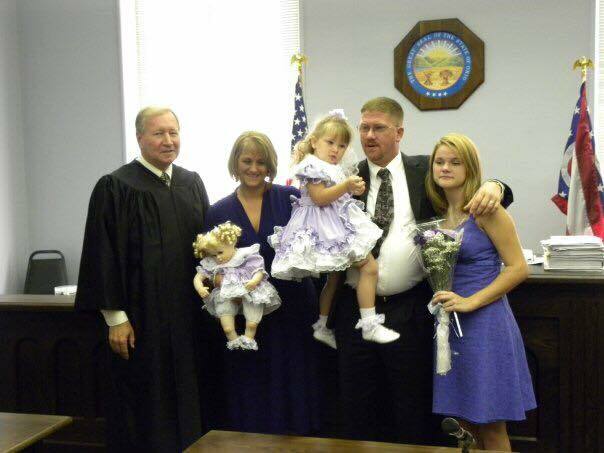 This wasn’t just about the child who was being adopted. Our whole family changed, and this was a celebration for all of us. 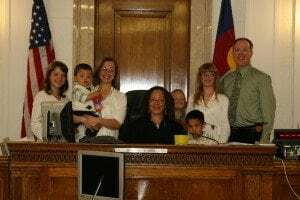 Judges and courthouse workers love adoption days, because it’s one of the more fun and rewarding activities they get to do. They are usually great about taking photos, and sometimes they will let the kids come up and try out pounding the gavel. Celebrate together! Throw a party, go out to eat, or enjoy a day off together. Find a way to make the day special however is meaningful for your family. 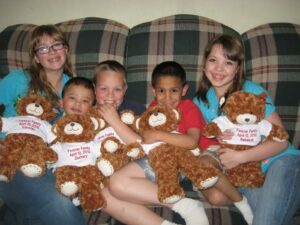 We wanted to purchase a special matching gift for our children to commemorate this Forever Family day. Nothing seemed quite right until we came upon the idea of going together to let them each create a Build a Bear. What’s really cool is that Build a Bear offers these T-shirts that can be embroidered with up to 3 lines for a very reasonable price. 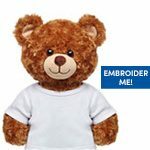 Build a bear with shirt to embroider. 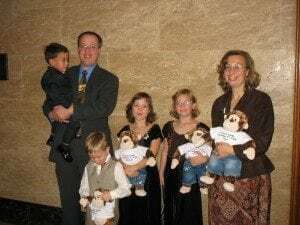 We created matching stuffed animals for both Paul and Zack’s adoption days, and on the t-shirts for each child we put “Forever Family”, the date of the adoption, and each child’s name. 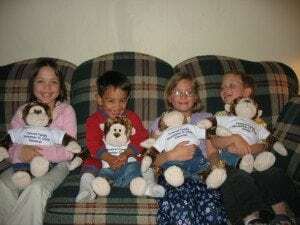 Zack’s adoption day stuffed bears with embroidered shirts. 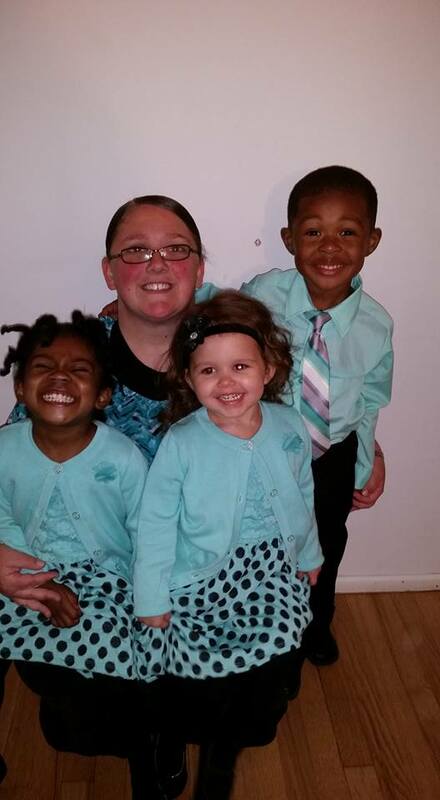 Many families enjoy dressing up in matching or coordinating outfits on adoption day to show their family togetherness. I love it! 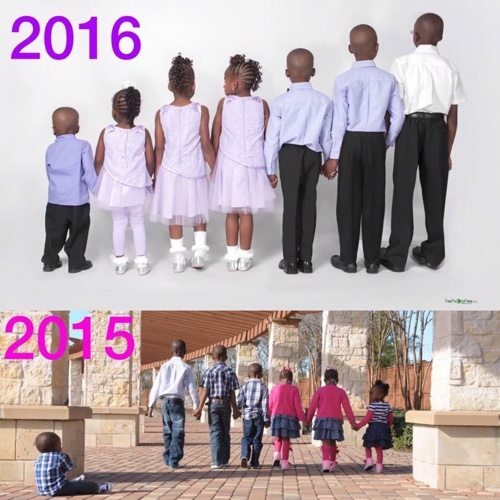 Couldn’t you just look at photos of these beautiful families forever? These make my heart happy. 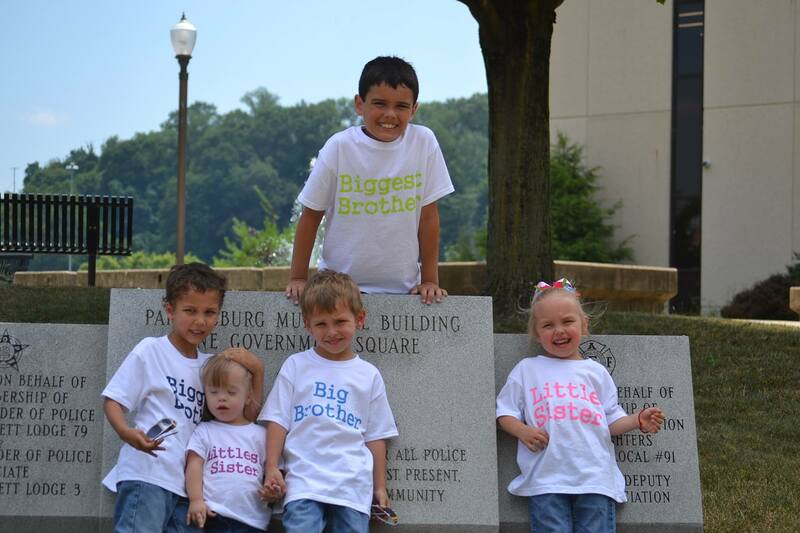 Big sister/little brother shirts are always a hit. The Youngs. The number represents the year they were added to the family. The Youngs. Now you can see how good looking those guys are! 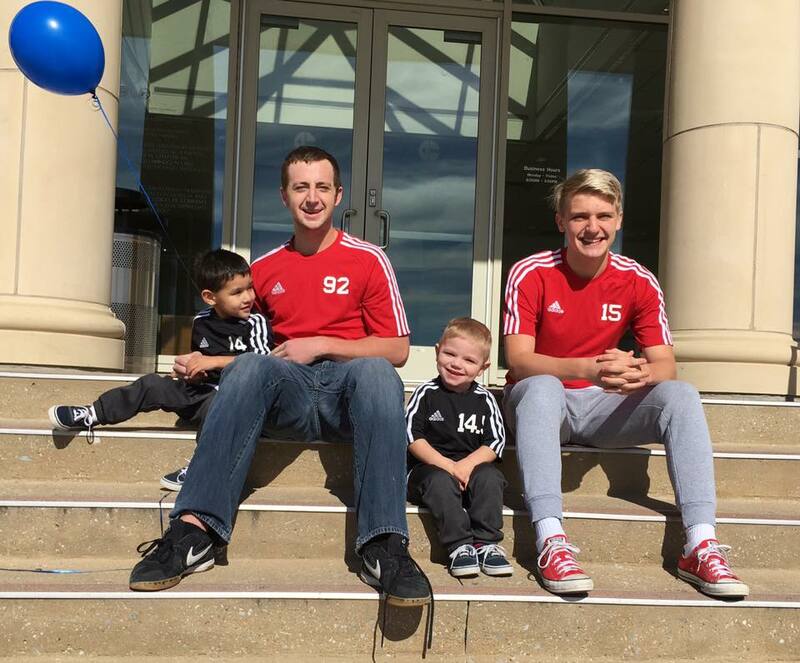 The Lees at adoption day, in front of the court house. 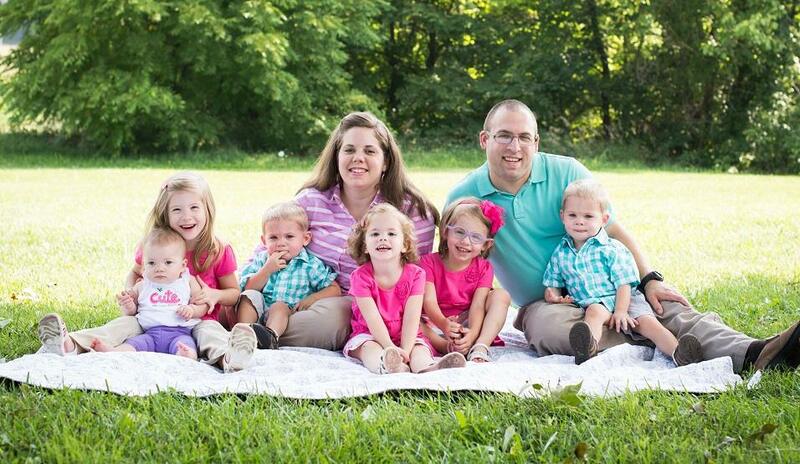 Rod Dren Family — adopting 7! 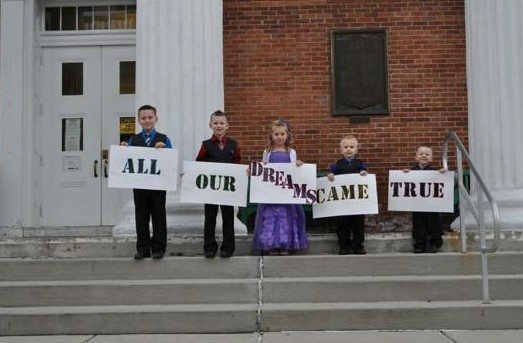 What are some other ideas you have to include the whole family on adoption day? 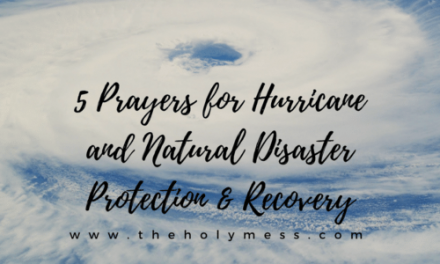 *Helpful printables for you to use immediately. 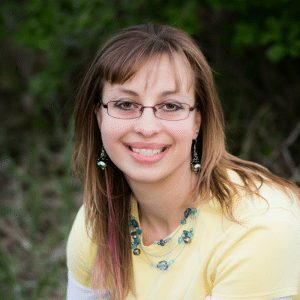 *You will receive The 10 Traits You MUST Have to Parent Kids From Hard Places by email for FREE. We haven’t really got into a comfortable place with our adoption day celebrations yet but I love seeing what other people do to observe. 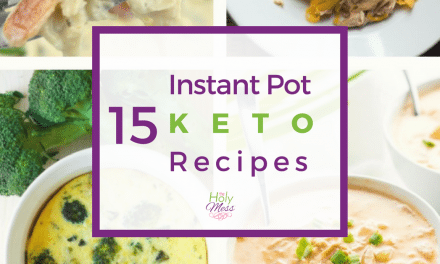 Great list!! My kids are super in to matching clothes, and I wish we had done something a little more matchy matchy. We had an adoption party with lots of friends which was tons of fun! Erin, it sounds like you had a party and created special memories celebrating the day. That’s the main thing. 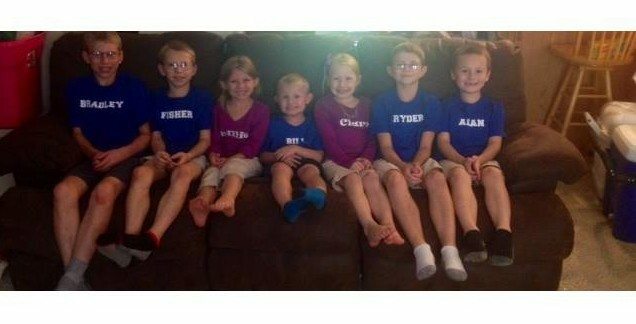 I guess you’ll just have to adopt again so you can do matching outfits. Haha! !